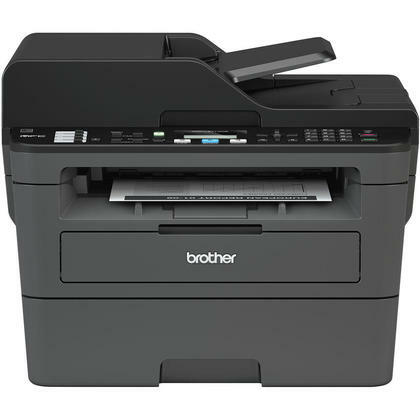 The Brother MFC-L2710DW printer is an exceptional model, known for its sleek appearance and low cost. Brick-and-mortar and online retailers such as 123Ink.ca have found this to be a very high-quality Brother printer that is popular among Canadians, many of whom have found it to be easier to shop for third-party ink toner cartridges, such as those by the popular Canadian brand Moustache, rather than pay the higher manufacturer rates. Herman’s story is atypical. Chances are, your printer is not working for you. If you are a small business owner who operates a Brother MFC-L2710DW printer, you are probably familiar with the quality of the technology—but you are likely in the dark about the hidden secrets relating to the industry. According to Peter Maude, the managing director of CharisCo Printer Labs, the real expenditure involved in operating a printer is unusually high, and the industry prefers to keep people in the dark about that fact. A report released by the Office of Fair Trading indicated that manufacturers control the aftermarkets, and the vast majority of consumers are not aware that the market is monopolized. It is believed that dominant printer companies, particularly Lexmark and Hewlett-Packard, have the monopoly on the aftermarket—and continue to monopolize each new printer generation. As technologies evolve, so do major printer companies, with no regard to how it affects actual consumers. The myth of Brother printer ink toner replacement being expensive still prevails, in spite of evidence to the contrary. Here’s the deal: Manufacturers intentionally sell printers for relatively low costs, knowing full well that they will trap consumers into an endless cycle of ink toner replacement. While many major printer manufacturers fail to see any profit on each printer itself, their profit margin soars with the constant purchase of replacement cartridges. And they intentionally hike up the prices of consumables, the same way razor companies sell razorblades at high costs. In order to avoid being conned by manufacturers who refuse to be transparent, consumers are advised to shop third-party. Plenty of compatible cartridges exist, and they are typically much less expensive.